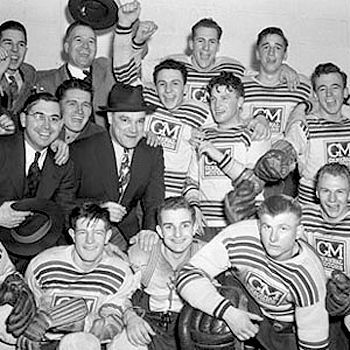 After growing up the son of a goaltender who once played for the storied, turn of the century Renfrew Millionaires, Ted Lindsay played junior hockey for the St. Michael's Majors before joining the Oshawa Generals in time to win the 1944 Memorial Cup. 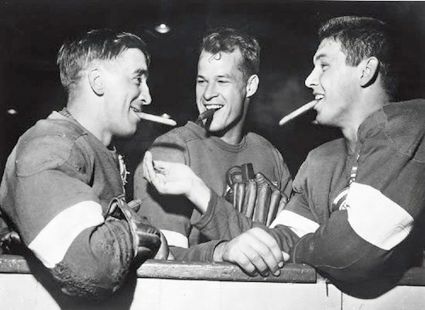 Lindsay joined the Detroit Red Wings for 1944-45 and had a couple of average seasons to begin his career, 23 points and then just 17 in 1945-46, but then the following year Lindsay was put on a line with veteran Sid Abel and a rookie named Gordie Howe and his career shifted into high gear. The line was dubbed "The Production Line" based on their offensive output, which saw Lindsay's point totals jump from 17 to 42 and then continue to rise to 52 to lead the Red Wings in scoring and the entire league in goals with 33. 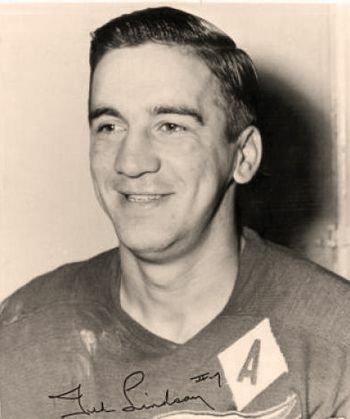 His point total rose to 54 in 1948-49 before a quantum leap to 78 points in 1949-50 to win the Art Ross Trophy for leading the entire NHL in scoring as Howe and Abel came in second and third, giving the line a 1-2-3 standing in the scoring race. "Terrible Ted" also was third in the league with 141 penalty minutes, just three back of the league leader. 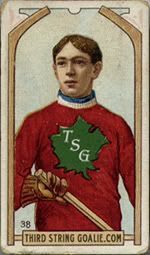 In the playoffs, the Red Wings outlasted the Toronto Maple Leafs in seven games and then duplicated the feat against the New York Rangers to win the first Stanley Cup of Lindsay's career. In both series Detroit won Game 7 in overtime. 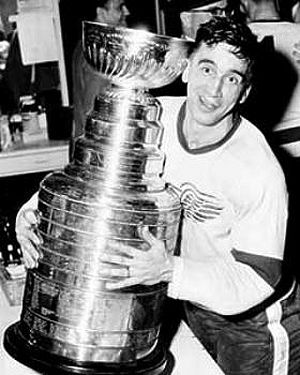 The Red Wings would again capture the Stanley Cup two seasons later in 1951-52 after Lindsay had the second 30 goal season of his career. In 1952-53, he would again top 30 goals with 32 and 70 points for the second time with 71. 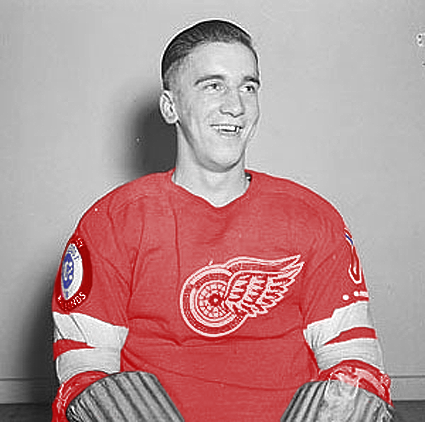 After the departure of Abel, Lindsay was named captain of the Red Wings, a position he would hold until 1956. It was during this time period that Lindsay began the tradition of the captain of the winning team lifting the Stanley Cup and skating it around the ice in celebration, a scene now repeated every year. 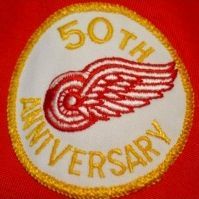 The 19954-55 Red Wings would finished first overall in the league for the seventh consecutive season and go on to take the fourth Stanley Cup of Lindsay's career. 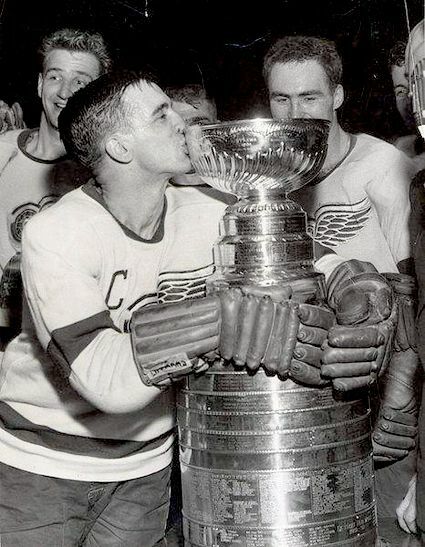 While he was limited to just 49 games of the regular season in 1954-55, snapping his 20 goals/40 points streak at 8 seasons, he was healthy in time for the playoffs where his stellar 19 points in 11 games contributed greatly to Detroit winning the second of back-to-back championships. The time he missed also interrupted his consecutive streak of 100 penalty minutes or more streak, the only one of ten seasons he was under the century mark. So rough was Lindsay's style of play that penalties had to be created for elbowing and kneeing! He also acquired more than 400 stitches during his career before losing track. in 1956-57, Lindsay had the greatest offensive season of his career with 85 points, this coming from 30 goals and a league leading 55 assists, which earned him a Sports Illustrated cover. 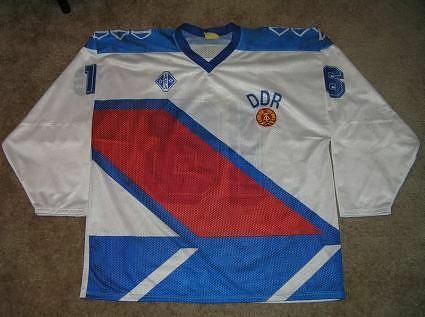 He was also busy that season off the ice, organizing the NHL Players' Association. Already not on good terms with Detroit general manager Jack Adams, Lindsay's union organizing efforts saw him stripped of his captaincy and later earned him a trip out of town, as he was banished to the lowly Chicago Black Hawks, who had missed the playoffs 12 times in the previous 14 seasons, in a six team league no less! Lindsay was the NHL's third leading all-time goal scorer at the time of the trade. 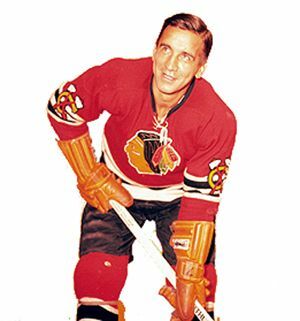 While the Black Hawks would miss the playoffs in 1957-58, Lindsay would have by far his best of three seasons in Chicago in 1958-59 with 22 goals and 58 points as well as a career high of 184 penalty minutes as the Black Hawks returned to the playoffs for the first time in six seasons. He would retire after one more season with Chicago with 999 games played. After four seasons away from the ice, Adams replacement and old line mate Abel coaxed Lindsay out of retirement for the 1964-65 season. He returned to the ice on in 1964 for his 1,000th NHL game, becoming only the fourth player in league history at the time to have reached 1,000 games after linemate Howe, Bill Gadsby and Red Kelly. Lindsay added a final 14 goals and 28 points to his career totals as the Red Wings finished with the best regular season record in the league for the first time since his departure. 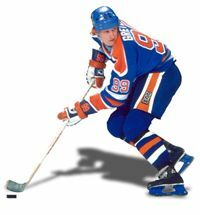 His final career totals are 379 goals and 472 assists for 851 points in 1,068 games played along with 1,808 penalty minutes. He also competed in 133 playoff games (in an era when the maximum number of games was just 14) scoring 47 goals and 49 assists for 96 points. At the time of his retirement, Lindsay was the highest scoring left winger in league history. 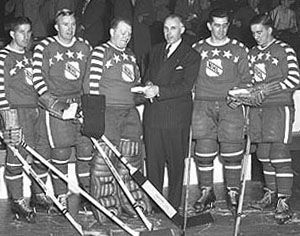 He played in 11 NHL All-Star Games and won four Stanley Cups and was inducted into the Hockey Hall of Fame in 1966, but declined to attend the ceremony since it was for men only, and he wanted his wife and family to attend, a rule which was changed for the following year. In 1991, the Detroit Red Wings held a pregame ceremony where they retired Lindsay's #7 sweater as well as the #10 of Alex Delvecchio. In 2010 the NHL Players Association renamed the award the players vote on for their annual MVP from the Lester Pearson Award to the Ted Lindsay Award in honor of his pioneering work in forming the player's association. 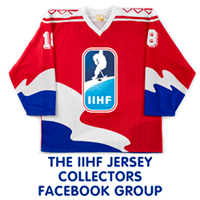 Today's featured jersey is a 1944-45 Detroit Red Wings Ted Lindsay jersey. While the Red Wings jerseys have remained essential unchanged since the dawn of time, this particular one stands out for the patches worn on the sleeves during Lindsay's rookie season in the NHL. The patch on Lindsay's left sleeve is a "V" for victory, with three dots on the left of the patch and a dash on the right (Morse code for "v") was first worn during the 1941-42 season. It remained for four seasons through 1944-45. 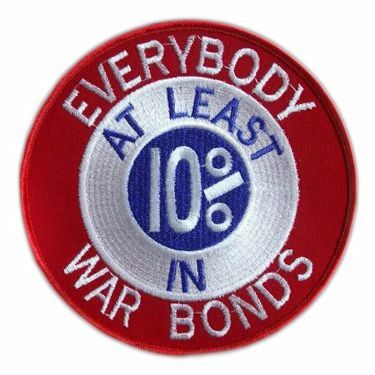 On Lindsay's right sleeve is a patch promoting the purchase of war bonds. First worn in 1942-43, this patch was used for three seasons through 1944-45. 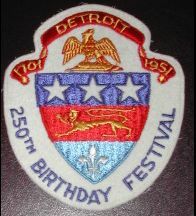 After wearing a patch during 1951 to promote the 250th anniversary of the City of Detroit, the Red Wings would not wear another patch until 1975 for the franchise's 50th Anniversary. 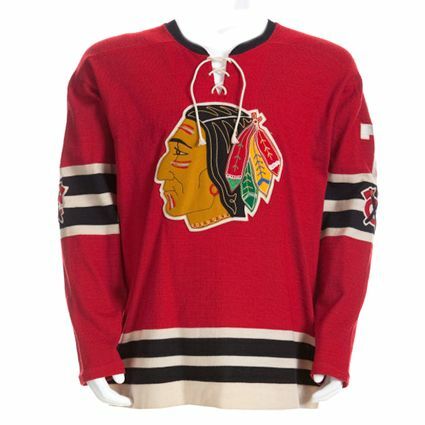 Bonus Jersey: Today's bonus jersey is a 1958-59 Chicago Black Hawks Ted Lindsay jersey. 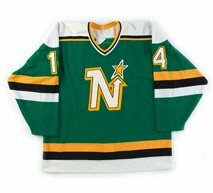 While very similar to today's Blackhawks jerseys, note the location of the crossed tomahawks inside the sleeve stripes rather than the now traditional placement on the shoulders. 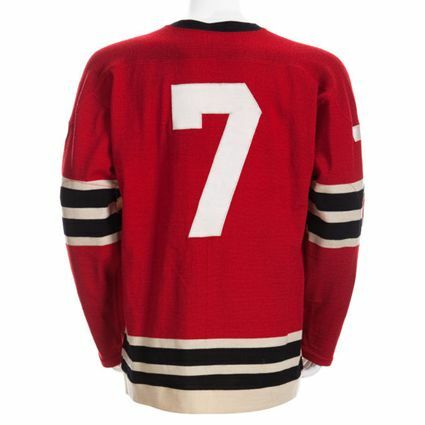 This beautiful old sweater shows just why the Black Hawks jerseys frequently finish at the top of lists of best jerseys and was worn by Lindsay during the 1959 playoffs. 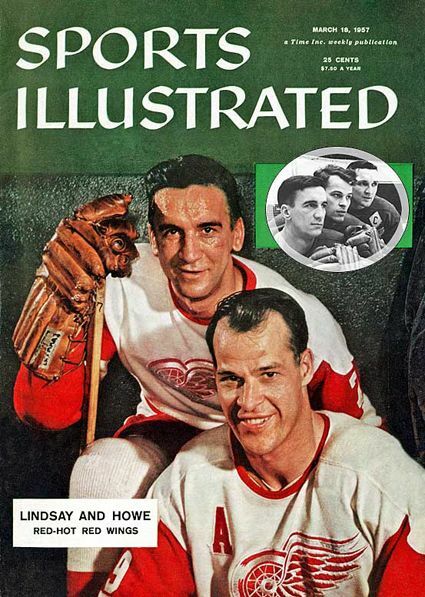 Today's video section begins with Ted Lindsay's biography from the Legends of Hockey series. In this next clip, a look back at Ted Lindsay's career first broadcast in 1978 when Lindsay was the general manager of the Red Wings.